Exceptional location in one of Ottawa's hottest districts just steps to Beechwood and Rockcliffe Park. Close to rivers, bike paths, parks, transit, the best schools, restaurants, shops and all in a quickly appreciating neighborhood that is poised to take off. 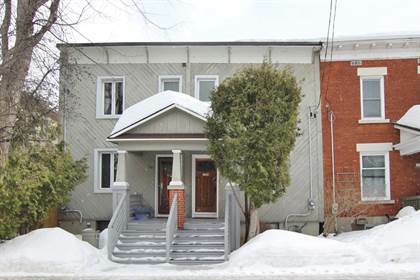 Formerly a 3 bedroom home this charming 2 bed, 1 bath semi is a rare offering. It's exceptionally clean and has very recent furnace & ductwork (2018), windows and more. Like most older homes there is evidence of settlement and room to improve. See it and ponder the possibilities. Call listing agent to book a showing ang get more info on this unique opportunity in Lindenlea / New Edinburgh.\r\rFabulous location in a desirable area near amenities. From Beechwood Ave, turn North onto MacKay St., Right on Ivy Cr. Hi, I'd like to find out more information about 187 Ivy Crescent. Thanks so much!